Only 3 days until Team Running the Road Ahead participates in the 2012 Vancouver Sun Run! Our 12 runners have been busy preparing for their shoes to hit the streets; by training, participating in running clinics, and taking nutritional and hydration advice. Oranges – this fruit’s high vitamin C content helps repair muscle damage that might occur while running. Bananas – this fruit’s high potassium content provides fuel and helps to prevent muscle cramps while running. Blueberries – similar to oranges, this fruit is chocked full of vitamin C to help a runner’s muscles out. Mixed Salad Greens – such as mixes of radicchio, butter leaf, curly endive, and mache. Leafy, dark vegetables contain large amounts of Vitamins A and C, both of which are good for muscle repair and growth. Their fiber content also help keep you full and fueled for the run!! Saving the best for last…… Sweet Potatoes – the runners super food! High in carbohydrates, magnesium, potassium, vitamin C, iron & beta carotene. This wonder veggie supplies fuel for the body during a run, and replaces important minerals that are lost through sweat. Their potassium and magnesium content helps prevent muscle cramps. 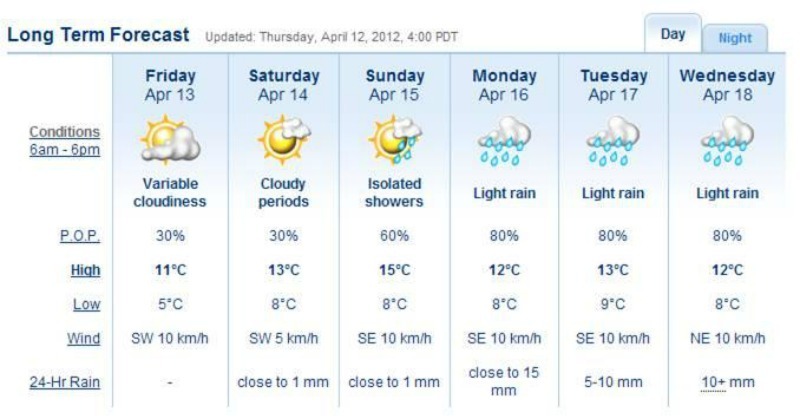 Fingers crossed that our unpredictable Vancouver weather holds out! Stay tuned for more news and photos of the event!